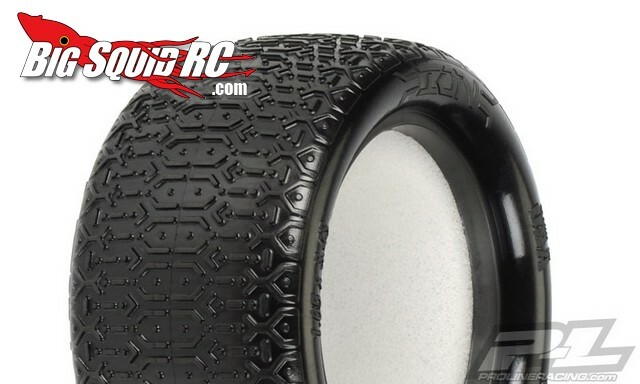 Pro-Line Racing ION 2.2″ 4wd 10th Scale Off-Road Buggy Tires « Big Squid RC – RC Car and Truck News, Reviews, Videos, and More! One of Pro-Line’s most popular indoor clay tires, the Ion, has proven itself time after time on 8th scale buggy’s and SCT’s. Recently the good guys over at Pro-line announced they are now making the Ion for 10th scale 4wd buggy’s. They are now making them for both the rear #8222-17 and for the front #8223-17, and they come in Pro-Line’s MC (Clay) tire compound. Expect a street price of around $15 per pair, and you can get more information by visiting Pro-Line’s official Website. Hit up THIS link for even more Pro-Line news right here on BigSquidRC.